PROM is coming! Have you prepared for your BIG DAY? It is one of the most-awaited days for the high-school students. 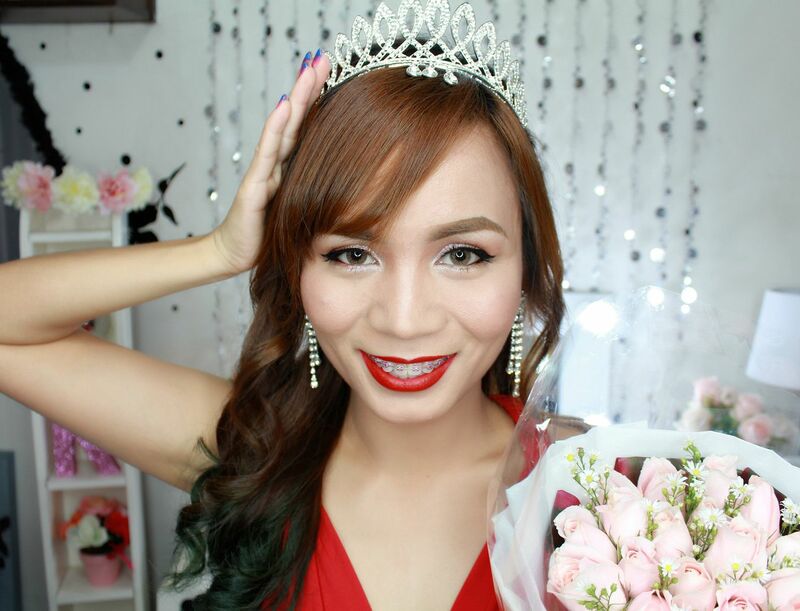 It's the time to look good and be in glamorous gown and well-made hair and makeup. But I believe looking good doesn't mean having to spend a lot! In the video, I shared a lot of makeup tricks, especially for girls with acne-prone skin like me. I also used local products like Ever Bilena and Nichido and every household's item- Johnson's baby powder! 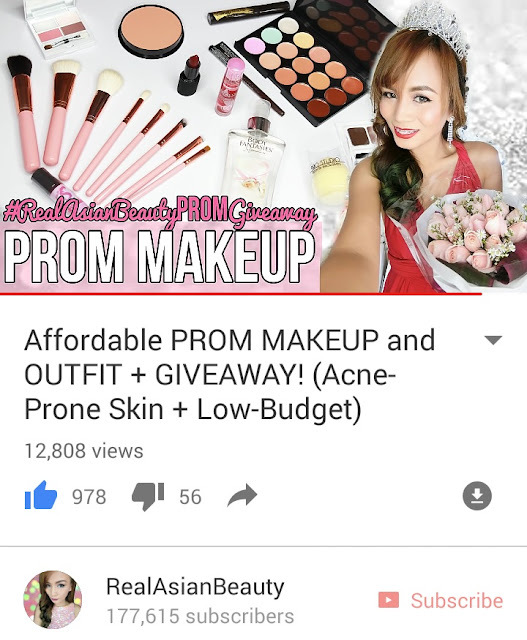 I hope you watch the video until the end to find out more about this inexpensive PROM look and the giveaway! Instead of the usual pink or blue gown, I thought red dress would also look good for prom. I also love bare-back dresses! 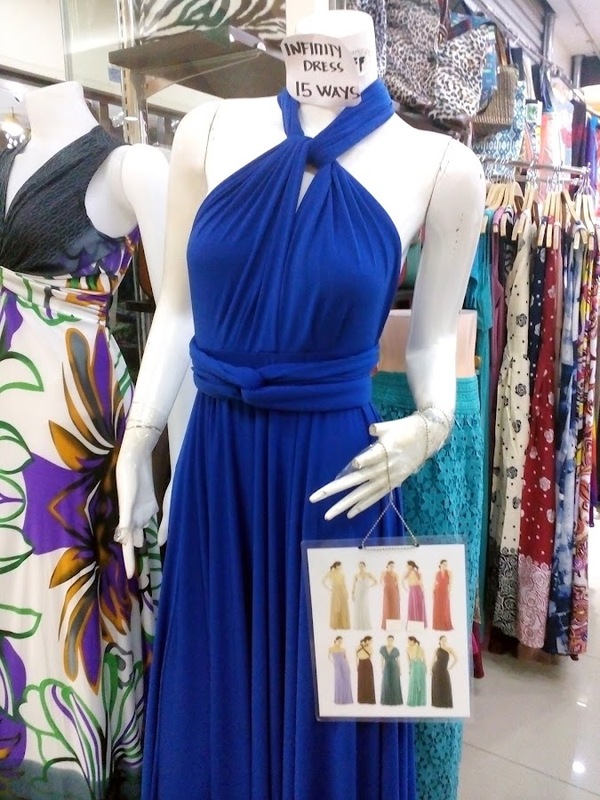 I got the dress from 168 in Divisoria for Php 1,000. It's still quite pricey but what I really loved about this dress is that it could be worn in 15 different ways! Actually, you could do more styles if you're creative enough! In the video, though, I only showed 6 styles because the others were too complicated to be done when you're alone. But I am sure you'd be able to pull it off when you ask for a little help from your Mom or your friend. I also got the dress in red because RED, especially in gowns and dresses, is such a powerful color. You could instantly look hot and fierce in red dress, even with just eye liner, red lips and sleek straight hair! This is how the bouquet looks! The flowers were still blooming when I got them and when I filmed this video But it became even more pretty after a few days when it reached it's full bloom! 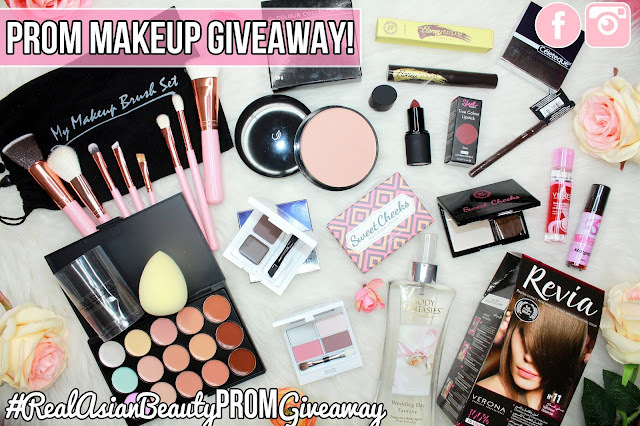 Now, let's about the Makeup Giveaway! I know not everyone can afford pricey makeup. I can tell from my experience. I didn't have my own makeup set when I was in high-school. And I also know that not all parents can afford to buy full set of makeup for their daughters just for a one-night event. So, I thought if giving away a FULL SET of makeup from hair color to perfume so 1 Lucky viewer could enjoy her prom without having to spend a single cent on makeup! 2. SCREENSHOT the photo (below) when you see it on the PROM MAKEUP video. Sample screenshot should look like this! -The screenshot should not include any other video or any other YouTuber in the photo. -Include the title of the video on your post. I hope you enjoyed my simple makeup tutorial and were able to pick up some beauty tips! Check out RealAsianBeauty on YouTube for more beauty tips and tutorials. Check out @RealAsianBeauty on Instagram for more personal stories and daily updates!